One of The Right Horse Initiative’s earliest objectives has been to improve the consistency and transparency of processes in horse welfare and adoption. While tackling the objective of increasing adoptions and adoption efficiency, it became clear that the task of assessing behavior and training of horses in transition needed to be addressed. Many adoption centers take in horses knowing little to nothing about their background. Sometimes, one reason they’re in transition is a lack of safe handling skills. There’s no standardized way of describing the behavior of adoption prospects, of even those horses that are already well trained. Therefore, we set out to develop one simple tool to assess and describe behavior, created by professionals and backed by solid research and science, that could be implemented by adoption centers and interpreted by adopters. The Basic Behaviors Profile was developed in response to the need for an industry standard to evaluate horse behavior during routine handling. Fourteen common interactions between horses and humans on the ground are included in this straightforward, practical and informative behavior tool. It was designed for broad application across disciplines and geographical regions, and can be used by programs, trainers and individual horse owners. Improving communication among groups within the industry and increasing successful adoptions by matching horses and new owners are two principal objectives of the Basic Behaviors Profile. The Basic Behaviors Profile went through two phases of development. In the first phase, led by Prof. Nina Ekholm Fry of the University of Denver, a team of equine experts compiled a list of common ground behaviors possessed by well-trained and safe horses. In the second phase, which I coordinated, five rescue organizations participated in field testing for final revisions. During the behavior assessment, horses are led through a series of standardized, routine handling situations such as applying fly spray, catching and haltering, tying and blanketing. A horse that remains relaxed, cooperative and safe is scored as having completed that test item. Of course, some horses will not complete all items and may be anxious or avoidant in some of these situations. The Basic Behaviors Profile results can help identify horses that may need additional training on common ground behaviors, resulting in increased handler safety, reduced equine distress, improved welfare and greater adoption success. Members of the rescue organizations that participated in field testing all agreed that the behavior assessment was valuable and they would use it if available. The Basic Behaviors Profile isn’t just for organizations – horse owners and prospective adopters can use it, too. 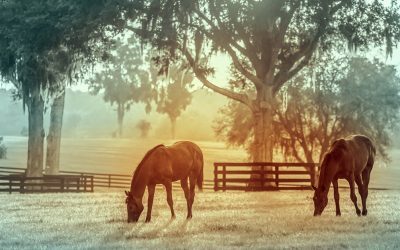 Everyone wants a safe and satisfying relationship with their horse, and prospective adopters consider many characteristics while searching for the right horse. Successful adoption and owner satisfaction rely to a large extent on the horse’s actions. The Basic Behaviors Profile can give prospective adopters access to reliable information about a horse’s behavior and training needs on the ground, so they can choose an equine partner that matches their experience and skill level. Horse owners who aren’t currently in the market to adopt can still benefit from using the Basic Behaviors Profile by assessing their horses at home or at the barn. It may illuminate some areas where their horse needs additional groundwork training to become an equine “good citizen,” which will improve their relationship and mutual safety. And even if owners never intend to rehome their horse(s), having solid ground manners will keep them safe and increase their chances of finding a new home quickly in the event their horse finds itself in transition at any point in its life. The Basic Behaviors Profile also has a place in applied equine science. Equine scientists are always looking for objective behavior assessments that can be used to predict a horse’s future performance. A good objective assessment is reliable and valid. The Basic Behaviors Profile showed very high reliability during field testing. Eight independent evaluators agreed more than 90% of the time that a horse had or had not completed a test item. This means that the assessment accurately and objectively determined whether a horse completed or did not complete each item. The Basic Behaviors Profile is also valid, which means that the way a horse performed on the assessment corresponded well with their handler’s predictions. While it is very objective, the tool is not a “pass or fail” test. 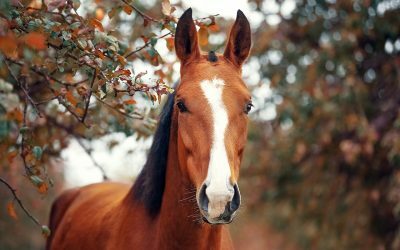 Since adopters are all looking for different types of horses, there is no way to say a horse is unilaterally a good or bad match – it depends on the adopter’s skill level, experience and goals. 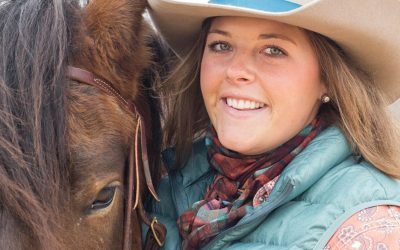 An experienced horse handler may be the perfect match for a horse who didn’t complete many items on the assessment. While the Basic Behaviors Profile is an excellent starting point, it’s also just one piece of the match process – adopters should also consider many other factors in their decision. Dr. Robin Foster is a Research Professor of Psychology (Animal Behavior) at the University of Puget Sound. Download the Basic Behaviors Profile using the form below.